Verfeil is a small commune at the North-East of Toulouse. It is difficult to date its origins though Celtics were living there some centuries B.C. It was built at the top of a small hill, with fortified entrances and a castle from the VIII century at the top. Today about 3,000 inhabitants live in Verfeil and they do their best to make the Trail du Cassoulet a great running event. This year was the first time that I took part in this race, together with other 2,000 participants: 300 of us would run the 32km trail, about 1,400 the 15km trail and the rest walking routes, races for children, etc. The organization was superb. Every runner got a can of cassoulet. If got to the finish line we received as well an apron (plus a bottle of wine if the runner arrived disguised with a costume). After the trail, we all gathered to enjoy a delicious and energizing bowl of warm cassoulet. The trail departed at 9am. I took it as a training session for the New York marathon, which I would run 4 weeks later. My training plan indicated that the day of the race I should train 3 hours, 1 of them at marathon pace. Thus a 32km trail would be perfect. 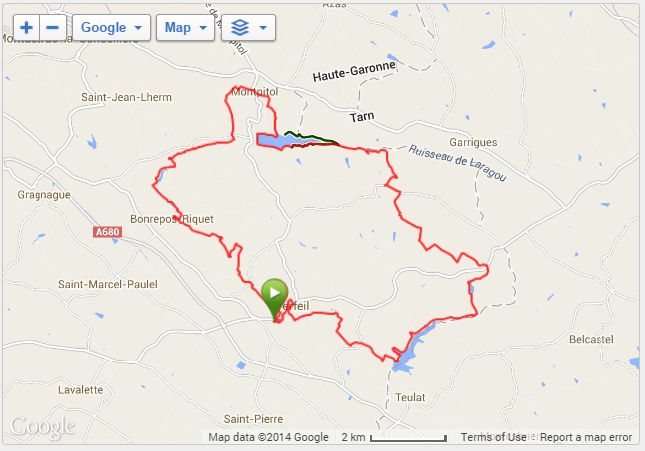 Route of the race as recorded by my Garmin. 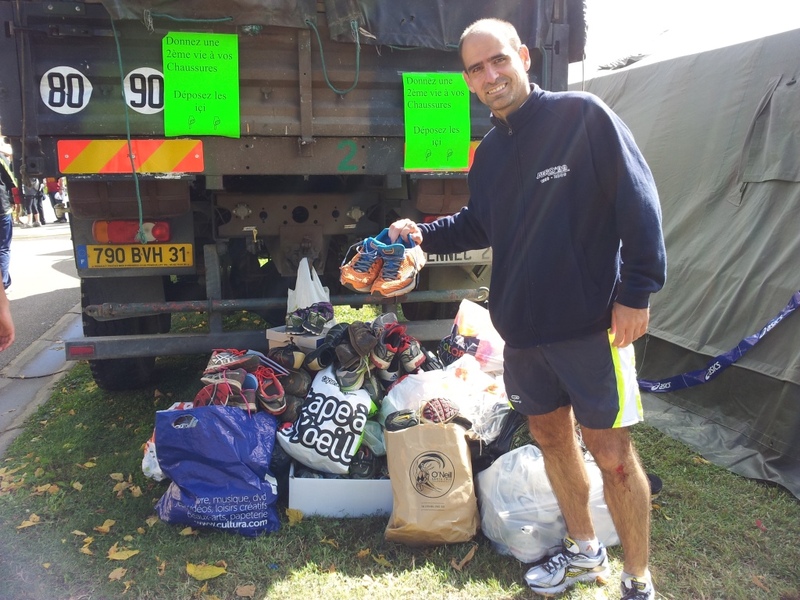 Donating my old running shoes.